Hyperinsulinemia in hyperthecosis of the ovaries. Am. I. Obstet. Gynecol., 154: 384-389. Nestler, I.E., 1997. Insulin regulation of human ovarian androgen. Hum. syndrome. Campath-1H) in patients with advanced mycosis fungoides/Sezary. Phase II study of alemtuzumab (anti-CD52 monoclonal antibody,. (4217 articles). Jul 16, 2007 - does adding etoposide to the conditioning regimen improve the outcome? 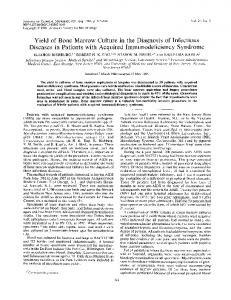 Bone Marrow Transplantation advance online publication,. ... Maria Isabel Lucena4 &. Raul J. Andrade4 & Marco Arrese1,5 ..... 2003;98(2):466â70. 17. Cortez-Pinto H, Chatham J, Chacko VP, Arnold C, Rashid A, Diehl. Oncology Service, Fundação de Beneficência Hospital de Cirurgia. (FBHC), Aracaju, Sergipe, Brazil .... arterial hypertension, cardiovascular disease, diabetes mellitus ..... Rio de Janeiro: INCA; 2002. Available from: http://bvsms.saude. Myelodysplastic syndrome (MDS) is a family of clonal disorders character- ized by dyshematopoiesis and susceptibility to acute myelogenous leukemia. Tumor. 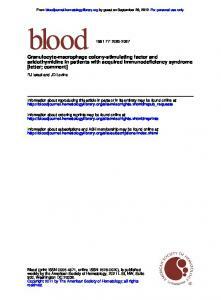 Antithymocyte globulin (ATG) has re- cently been popularized as an effective treatment in myelodysplastic syndrome. (MDS). We treated 8 anemic MDS patients. Oct 17, 2016 - Antipsychotics at Chitwan Medical College, Nepal. Kalpana Sharma1 ... 1Associate Professor, College of Nursing, Chitwan Medical College, Nepal. 2Professor .... from Nepal Health. Research Council and Chitwan Medical. Vol. 84, No. 3 Printed in U.S.A.
HORT STATURE is the most common clinical feature of Turner’s syndrome (1). Treatment with recombinant human GH (rhGH) is effective in increasing the final height of patients with Turner’s syndrome (1, 2). Therefore, although there is no deficiency of GH in this disease, therapy with rhGH has been recommended alone or in combination with anabolic agents such as oxandrolone (OX) as standard therapy when the height is below the fifth percentile of the normal female growth curve (1). In addition, patients frequently receive estrogen therapy (or combined estrogens and gestagens) to promote the development of female sexual appearance. Turner’s syndrome is also associated with clustering of cardiovascular risk factors, i.e. hypertension, obesity, insulin resistance, and an increased incidence of type II diabetes (3, 4). Although the synergistic effect of multiple risk factors on atherosclerosis has been established in large population-based studies (5) and in autopsy studies in young children and adults (6), there is surprisingly little information on the effect of hormonal treatment on these cardiovascular risk factors, although both rhGH and estrogens are now used in many patients with Turner’s syndrome for prolonged periods. Of special interest is the effect of these hormones on lipoprotein(a) [Lp(a)]. Lp(a) is an independent risk factor for atherosclerosis and thrombosis (7) and seems to be of greatest clinical importance in young patients with cardiovascular disease (8, 9). Plasma Lp(a) levels vary over 1000-fold between individuals and are largely determined by the size of the distinguishing apoplipoprotein(a) [apo(a)], which shows enormous size heterogeneity (10). months thereafter. Blood was drawn at each visit in the morning in the fasting state; an aliquot of serum was immediately frozen and shipped on dry ice to a central reference laboratory (laboratory of H.-J.Z.). Upon arrival, these samples were thawed and either used for analysis (of anti-GH and antihost cell antibodies) or immediately divided into aliquots and stored at 270 C in special aluminum cap-sealed small glass tubes for long term storage. Lp(a) and apo(a) phenotypes were measured in aliquots that had been stored without thawing for 5–9 yr (median storage time, 6.5 yr). Serum Lp(a) concentrations (at 3-month intervals) were measured with a one-step enzyme-linked immunosorbent assay (Immuno, Heidelberg, Germany). All samples were assayed in quadruplicate. The apo(a) phenotype was determined in every patient with a commercially available SDS-PAGE system (PHAST system, Pharmacia, Freiburg, Germany) using a 4 –15% gradient gel followed by Western blotting with a polyclonal sheep anti-apo(a) antibody (Immuno). Apo(a) phenotypes were designated as suggested by Utermann et al. (26); if double band phenotypes were present (heterozygotes), the apo(a) phenotype was determined according to the predominant band. Statistical analysis To accommodate for the statistical problem of repeated measurements in a single patient before and after treatment, analysis of covariance with repeated measures was conducted using BMDP2V (release 7.0) software and incorporating the pretreatment Lp(a) level as a covariate, as suggested by Frison and Pocock (27) and others (28). The purpose of the study, its protocol, and the documents describing the study medication were first approved by the ethical committee of the University of Hamburg, Germany, and thereafter by the ethical committees of all other participating hospitals. The German Health Authority was notified of this study, and the relevant documentation was submitted. This study was performed according to good clinical practice guidelines and was designed to support the registration of rhGH for the indication short stature due to Turner’s syndrome, which has been granted in 1992 by the European Health authorities. Sera taken during the course of the study were stored in the laboratory of one of the authors (H.-J.Z.) and analyzed for Lp(a) and apo(a) phenotypes without any financial or other support from the manufacturer of the study medication. FIG. 1. Lp(a) levels in 46 patients with Turner’s syndrome. 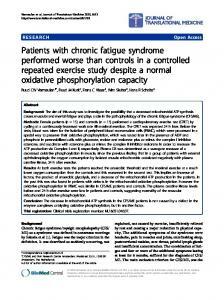 term study (21) as well as our own data argue against a persisting effect of rhGH on Lp(a). To our knowledge, this is the first study examining long term effects of rhGH in a sizable number of subjects with Turner’s syndrome. In two small previous studies in patients with Turner’s syndrome, a significant rise in serum Lp(a) levels was found in seven girls after 6 –9 months (16), and no effect on Lp(a) was observed in six girls after 6 months, respectively, of rhGH treatment (29). It should be noted that the present study does not include male subjects. Most rhGH treatment studies, regardless of whether an increase in Lp(a) was observed, have included both men and women, but little information is provided on differences in the effect of rhGH on Lp(a) between males and females. In two studies, the increase in Lp(a) was much less pronounced in females (14, 30); therefore, gender differences in the response to rhGH cannot be ruled out (17). Failure to detect a significant effect of rhGH on Lp(a) could be due to ethnic differences between populations, which have a profound impact on Lp(a) (31); however, the studies documenting no effect of rhGH treatment on Lp(a) have been performed on English adults (18, 20), Japanese children (19), and Chinese children (21), making this explanation unlikely. One of the reasons for not detecting a change in Lp(a) levels might be the presence of very low Lp(a) levels, e.g. in patients with HMW apo(a) phenotypes. Due to the vast size polymorphism of apo(a), it is almost impossible to design a study large enough to compare individuals with identical apo(a) phenotypes; many clinical studies have therefore compared patients with LMW and HMW phenotypes, with a cut-off at phenotype S2 (26, 32). We therefore also analyzed Lp(a) levels with respect to apo(a) phenotypes, but again found only very inconsistent small changes. In most studies observing an effect of rhGH on Lp(a), this was independent of the apo(a) phenotype (14, 15, 30, 33). In view of the well known decline in detectable Lp(a) levels with time of storage (34–36) and especially with repeated freezing and thawing (37), it could also be argued that we have failed to detect a major effect of rhGH on Lp(a) because we studied frozen sera. However, storage effects were minimized by the precautions taken of freezing sera in special containers without a break in the cooling chain. In addition, a major effect of long term storage seems unlikely for several reasons. We did detect some within-patient variations in Lp(a) (independent of storage time) and, as expected, major differences in Lp(a) between patients, depending on the individual apo(a) phenotype. However, although it has been stated that storage mainly affects the LMW isoforms (34), treatment effects were not significant in either LMW or HMW isoforms. Moreover, a strong effect of storage would have resulted in higher Lp(a) levels in the more recent samples (drawn near the end of the study) and, if anything, would have resulted in an overestimation of the effect of GH treatment. In conclusion, the present study shows that long term treatment with rhGH had no significant persisting effect on serum Lp(a) levels in girls with Turner’s syndrome. As these patients are known to have several risk factors for cardiovascular disease, the absence of a lasting effect on Lp(a) is reassuring. 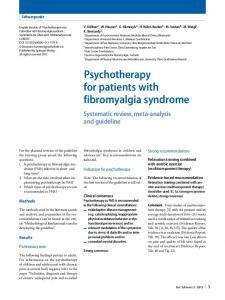 At present, however, the mechanisms of hormonal effects on Lp(a) remain largely unknown. Acknowledgments We thank the organizers of the German multicenter study, Prof. Dr. N. Stahnke, University Children’s Hospital Hamburg, and Prof. Dr. E. Keller, University Children’s Hospital Leipzig, for the permission to analyze the sera of patients from this study. References 1. Saenger P. 1996 Turner’s syndrome. N Engl J Med. 335:1749 –1754. 2. van den Broeck J, Massa GG, Attanasio A, et al. 1995 Final height after long-term growth hormone treatment in Turner syndrome. J Pediatr. 127:729 –735. 3. Ross JL, Feuillan P, Long LM, Kowal K, Kushner H, Cutler GBJ. 1994 Lipid abnormalities in Turner syndrome. J Pediatr. 126:242–245. 4. Gravholt CH, Naerra RW, Nyholm B, et al. 1998 Glucose metabolism, lipid metabolism, and cardiovascular risk factors in adult Turner’s syndrome. Diabetes Care. 21:1062–1070. 5. Wilson PW, Evans JC. 1993 Coronary artery disease prediction. Am J Hypertens. 6:309S–313S. 6. Berenson GS, Srinivasan SR, Bao W, Newman III WP, Tracy RE, Wattigney WA. 1998 Assocation between multiple cardiovascular risk factors and atherosclerosis in children and young adults. N Engl J Med. 338:1656. 7. Scanu A, Fless GM. 1990 Lipoprotein(a). Heterogeneity and biological relevance. J Clin Invest. 85:1709 –1715. 8. Dahlen GH, Guyton JR, Attar M, Farmer JA, Kautz JA, Gotto AMJ. 1986 Association of levels of lipoprotein Lp(a), plasma lipids, and other lipoproteins with coronary artery disease documented by coronary angiography. Circulation. 74:758 –765. 9. Sandkamp M, Funke H, Schulte H, Ko¨hler E, Assmann G. 1990 Lipoprotein(a) is an independent risk factor for myocardial infarction at a young age. Clin Chem. 36:20 –23. 10. Lackner C, Cohen JC, Hobbs HH. 1993 Molecular definition of the extreme size polymorphism in apolipoprotein(a). Hum Mol Genet. 2:933–940. 11. Boerwinkle E, Leffert CC, Lin J, Lackner C, Chiesa G, Hobbs HH. 1992 Apolipoprotein(a) gene accounts for greater than 90% of the variation in plasma lipoprotein(a) concentrations. J Clin Invest. 90:52– 60. 12. Eden S, Wiklund O, Oscarsson J, Rosen T, Bengtsson BA. 1993 Growth hormone treatment of growth hormone-deficient adults results in a marked increase in Lp(a) and HDL-cholesterol concentrations. Arterioscler Thromb. 13:296–301. 13. Tonstad S, Sundt E, Ose L, et al. 1996 The effect of growth hormone on low density lipoprotein cholesterol and lipoprotein(a) levels in familial hypercholesterolemia. Metabolism. 45:1415–1421. 14. Nolte W, Ra¨disch C, Armstrong VW, Hu¨fner M, Von zur Mu¨hlen A. 1997 The effect of recombinant human GH replacement therapy on lipoprotein(a) and other lipid parameters in adults wih acquired GH deficiency: results of a double-lind and placebo-controlled trial. Eur J Endocrinol. 137:459 – 466. 15. Querfeld U, Haffner D, Wu¨hl E, et al. 1996 Treatment with growth hormone increases lipoprotein(a) serum levels in children with chronic renal insufficiency. Eur J Pediatr. 155:913–918. 16. Laron Z, Wang XL, Klinger B, Silbergeld A, Wilcken DEL. 1997 Growth hormone increases and insulin-like growth factor-I decreases circulating lipoprotein(a). Eur J Endocrinol. 136:377–381. 17. Burman P, Johansson AG, Siegbahn A, Vessby B, Karlsson FA. 1997 Growth hormone (GH)-deficient men are more responsive to GH replacement therapy than women. J Clin Endodocrinol Metab. 82:550 –555. 18. Russel-Jones DL, Watts GF, Weissberger A, et al. 1993 The effect of growth hormone replacement on serum lipids, lipoproteins, apolipoproteins and cholesterol precursors in adult growth hormone-deficient patients. Clin Endocrinol (Oxf). 41:345–350. 19. Hassan HMS, Kohno H, Kuromaru R, Honda S, Ueda K. 1996 Body composition, atherogenic risk factors and apolipoproteins following growth hormone treatment. Acta Paediatr. 85:899 –901. 20. Webster JM, Stewart M, Al-Maskari M, et al. 1997 The effect of growth hormone replacement therapy for up to 12 months on lipoprotein(a) in growth hormone-deficient adults. Atherosclerosis. 133:115–121. 21. Tam SCF, Pang RWC, Janus ED, Kwan EYW, Low LCK. 1997 Growth hormone therapy transiently increases apolipoprotein(a) in short b-thalassaemia major children with normal growth hormone reserve. Atherosclerosis. 128:175–182. 22. Soma MR, Baetta R, Crosignani P. 1997 The menopause and lipid metabolism: strategies for cardiovascular disease prevention. Curr Opin Lipidol. 8:229 –235. 23. Henriksson P, Angelin B, Berglund L. 1992 Hormonal regulation of serum Lp(a) levels. J Clin Invest. 89:1166 –1171. 24. Stahnke N, Stubbe P, Keller E. 1992 Recombinant human growth hormone and oxandrolone in treatment of short stature in girls with Turner syndrome. Horm Res. 37:37– 46. 25. Stahnke N, Stubbe P, Keller E, Heisel HJ, Serono Study Group Hamburg. 1991 Effects and side-effects of GH plus oxandrolone in Turner syndrome. In: Ranke MB, Rosenfeld RG, eds. Turner syndrome: growth promoting therapies. Amsterdam: Excerpta Medica; 241–247. 26. Utermann G, Menzel HJ, Kraft HG, Duba HC, Kemmler HG, Seitz C. 1987 Lp(a) glycoprotein phenotypes. Inheritance and relation to Lp(a)-lipoprotein concentrations in plasma. J Clin Invest. 80:458 – 465. 27. Frison L, Pocock SJ. 1992 Repeated measures in clinical trials: analysis using mean summary statistics and its implications for design. Stat Med. 11:1685–1704. 28. Chow S-C, Liu J-P. 1998 Analysis of continuous data. In: Chow S-C, Liu J-P, eds. Design and analysis of clinical trials. Concepts and methodologies, 1st ed. New York: Wiley and Sons; 259 –305. 29. Lanes R, Gunczler P, Palacios A, Villaroel O. 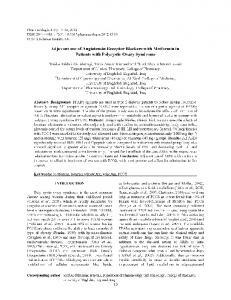 1997 Serum lipids, lipoprotein lp(a), and plasminogen activator inhibitor-1 in patients with Turner’s syndrome before and during growth hormone and estrogen therapy. Fertil Steril. 68:473–477. 30. Johansson G, Oscarsson J, Rosen T, et al. 1995 Effects of 1 year of growth hormone therapy on serum lipoprotein levels in growth hormone-deficient adults. Influence of gender and apo(a) and apo(E) phenotypes. Arterioscler Thomb Vasc Biol. 15:2142–2150. 31. Mooser V, Hobbs HH. 1997 Lipoprotein(a) and growth hormone: is the puzzle solved? Eur J Endocrinol. 137:450 – 452. 32. Kronenberg F, Utermann G, Dieplinger H. 1996 Lipoprotein(a) in renal disease. Am J Kidney Dis. 27:1–25. 33. Olivecrona H, Ericsson S, Berglund L, Angelin B. 1993 Increased concentrations of serum lipoprotein(a) in response to growth hormone treatment. Br Med J. 306:1726 –1727. 34. Kronenberg F, Trenkwalder E, Dieplinger H, Utermann G. 1996 Lipoprotein(a) in stored plasma samples and the ravages of time. Why epidemiological studies might fail. Arterioscler Thromb Vasc Biol. 16:1568 –1572. 35. Evans RW, Sankey SS, Hauth BA, Sutton-Tyrrell K, Kamboh MI, Kuller LH. 1996 Effect of sample storage on quantitation of lipoprotein(a) by an enzymelinked immunosorbent assay. Lipids. 31:1197–1203. 36. Craig WY, Poulin SE, Forster NR, Neveux LM, Wald NJ, Ledue TB. 1992 Effect of sample storage on the assay of lipoprotein(a) by commercially available radial immunodiffusion and enzyme-linked immunosorbent assay kits. Clin Chem. 38:550 –553. 37. Sgoutas DS, Tuten T. 1992 Effect of freezing and thawing of serum on the immunoassay of lipoprotein(a). Clin Chem. 38:1873–1877. Report "in Patients with Turner's Syndrome"